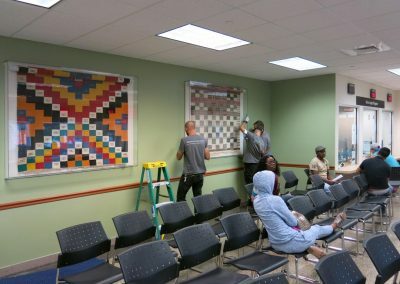 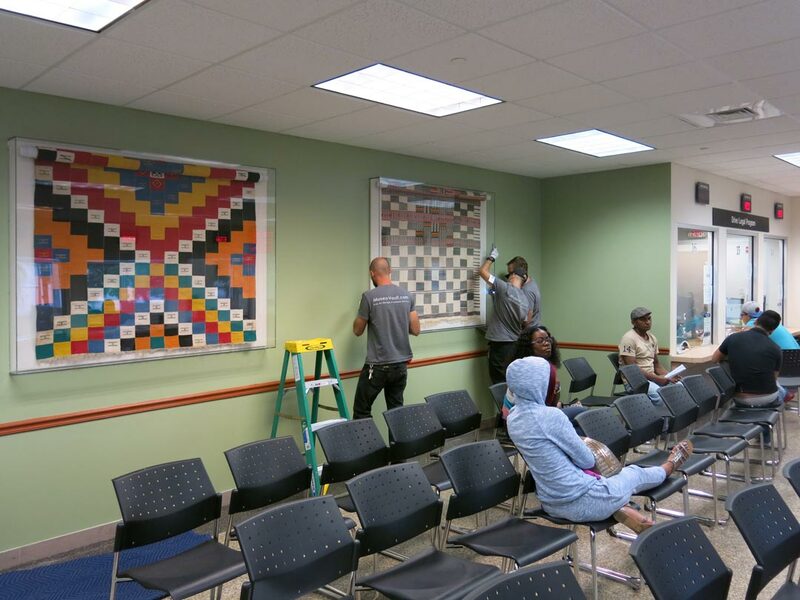 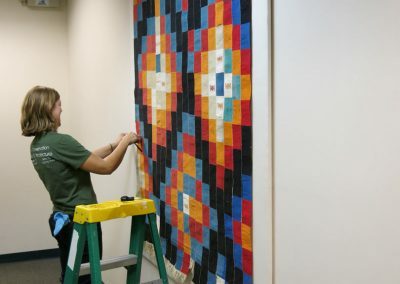 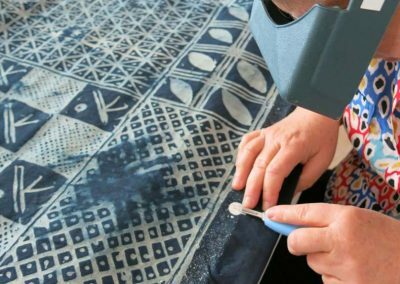 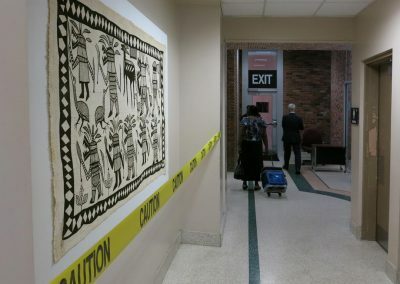 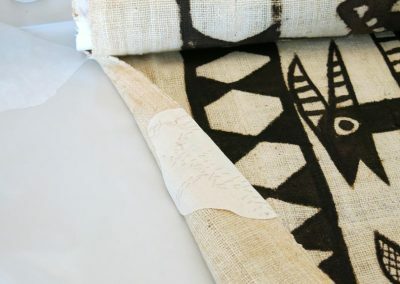 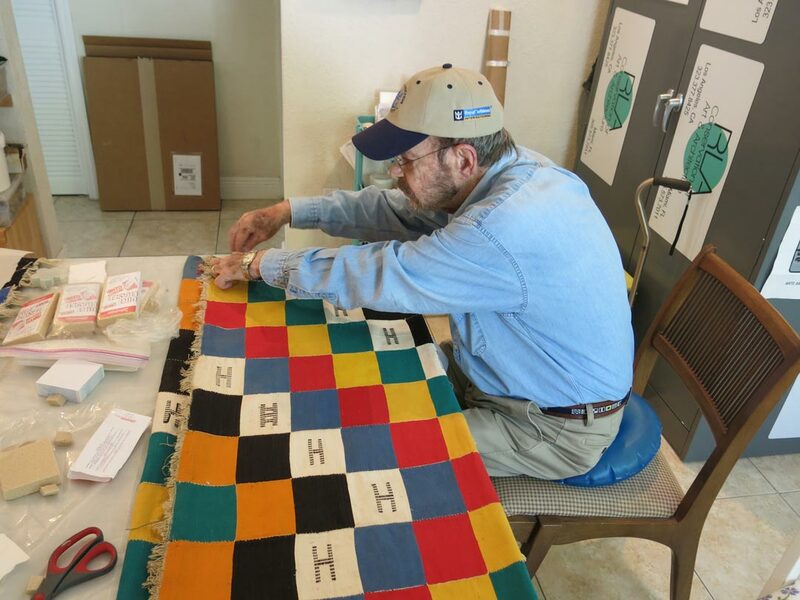 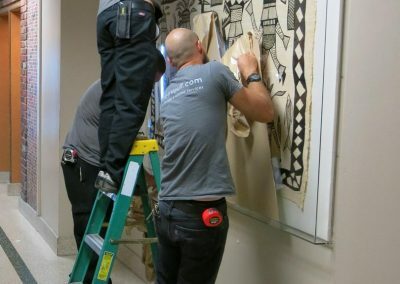 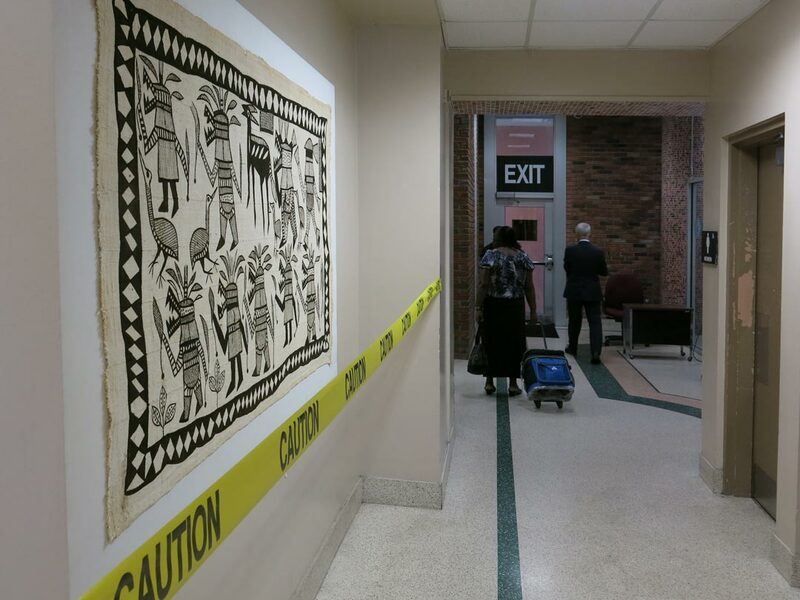 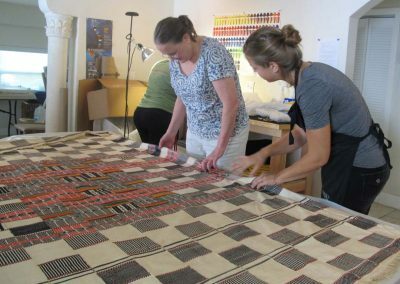 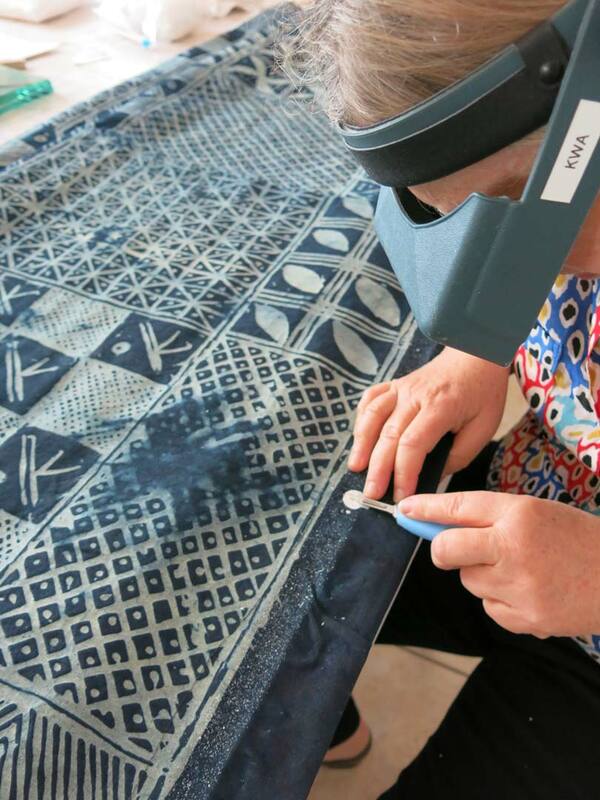 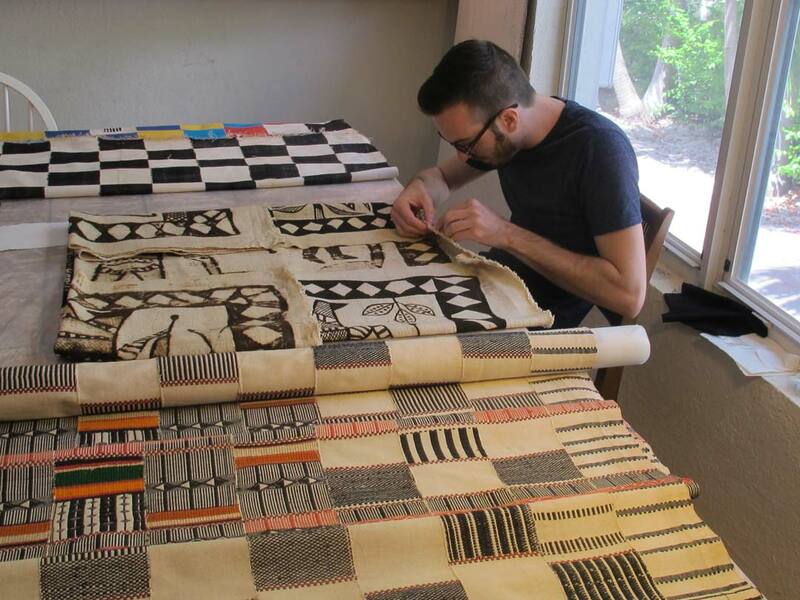 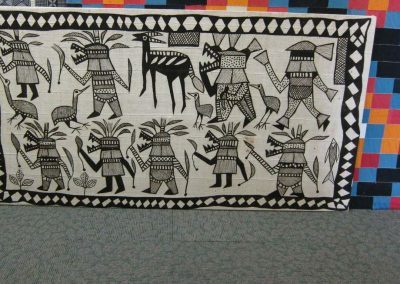 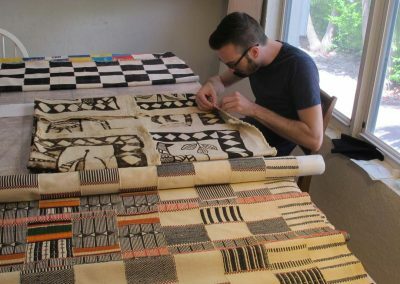 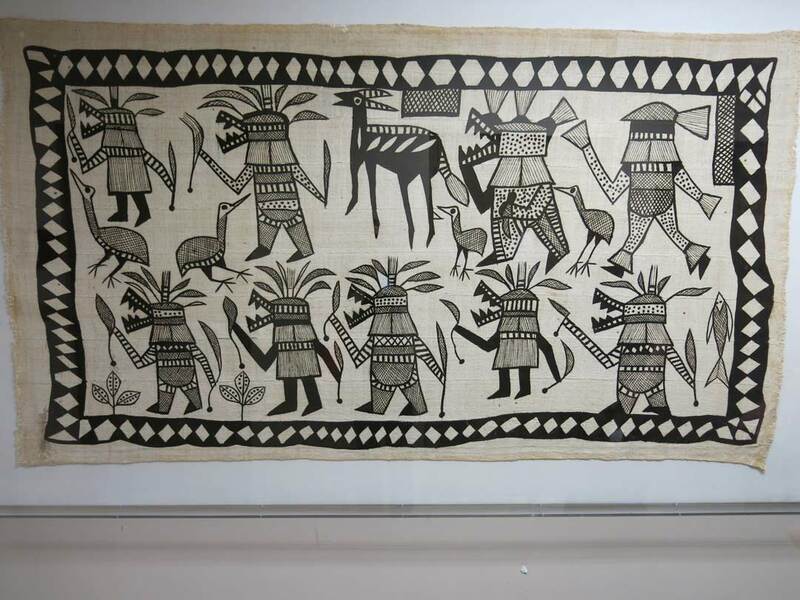 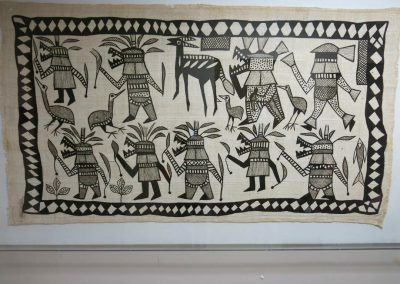 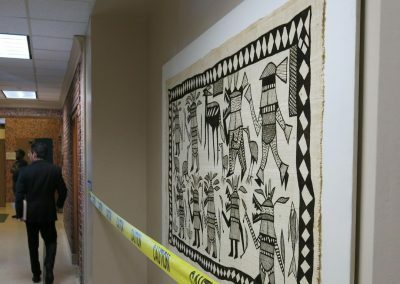 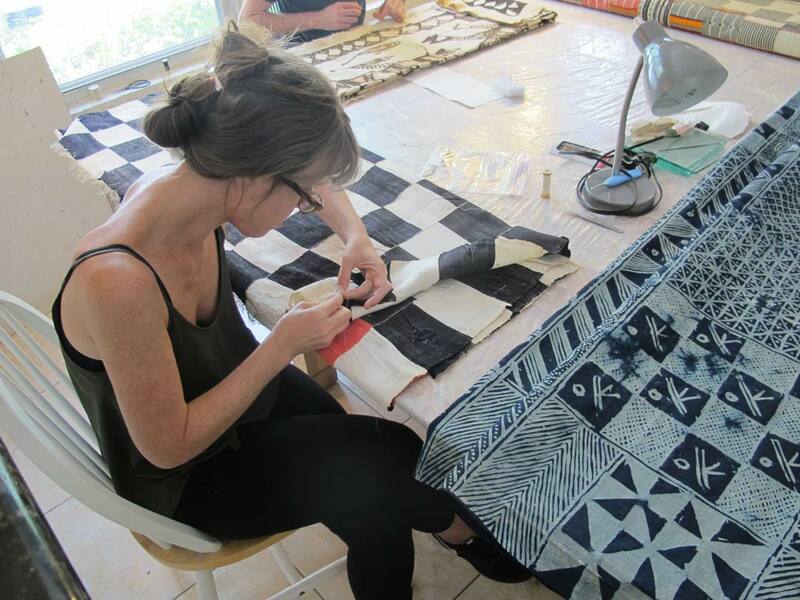 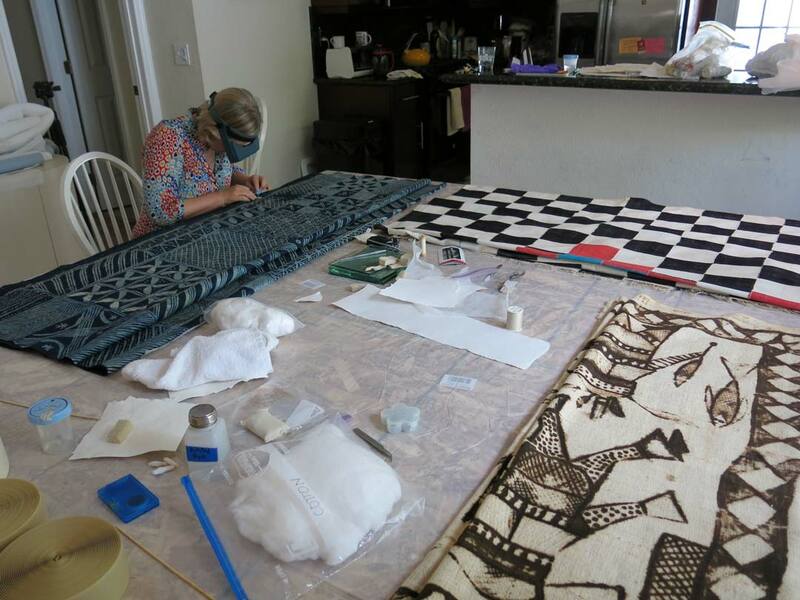 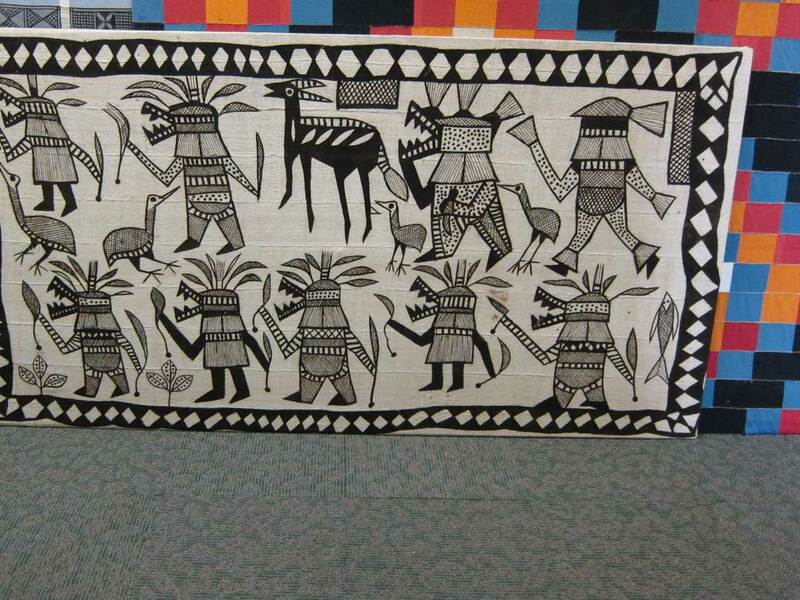 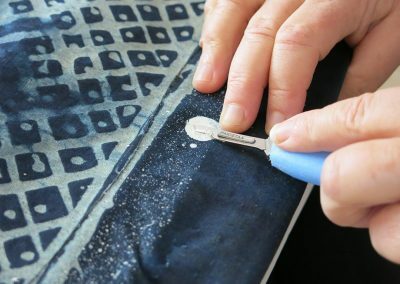 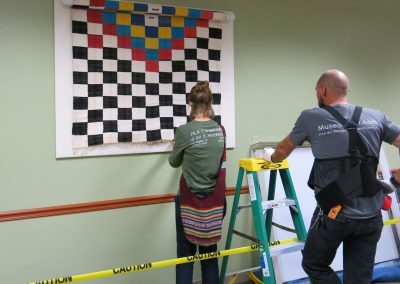 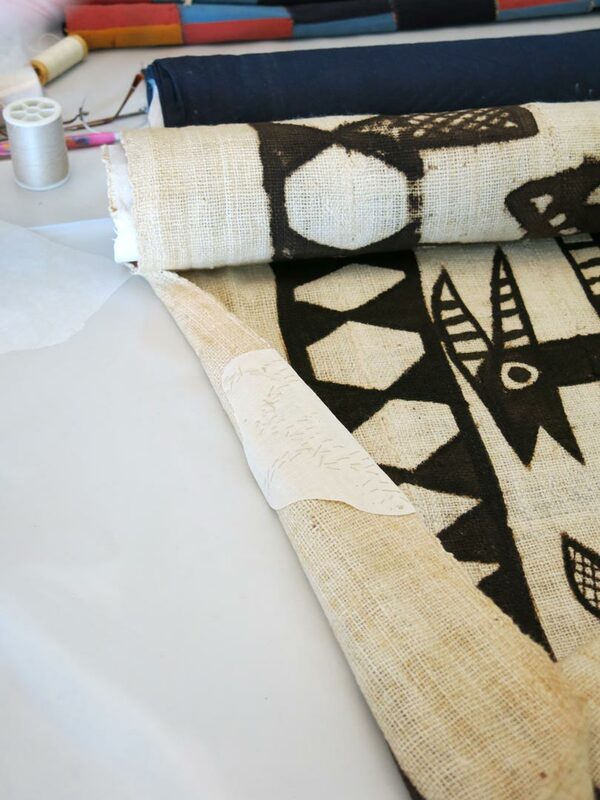 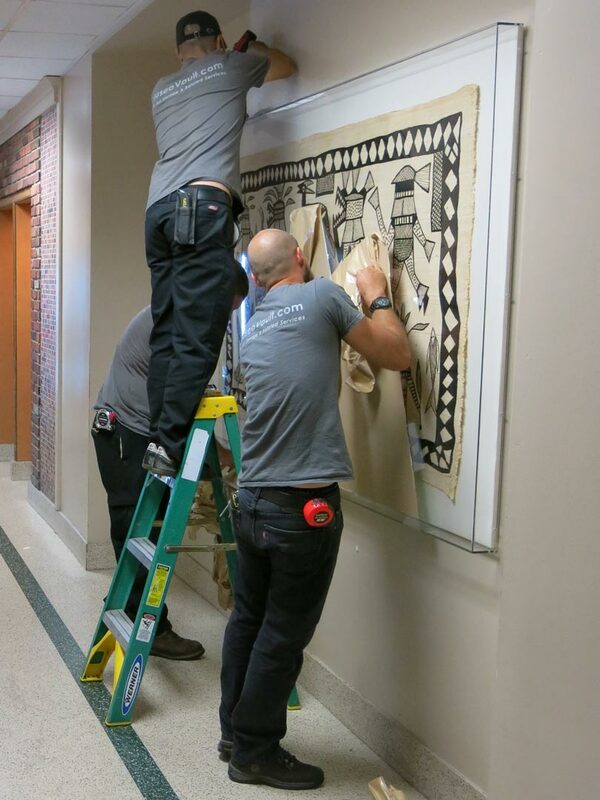 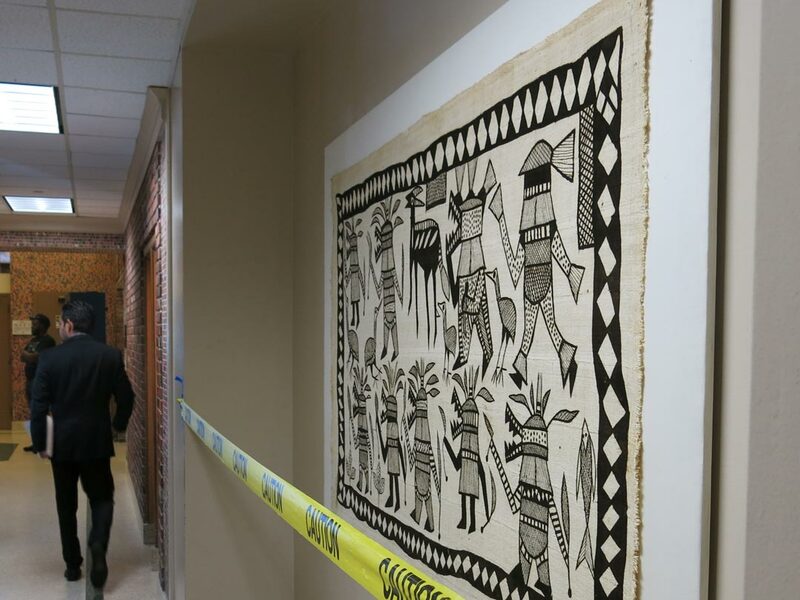 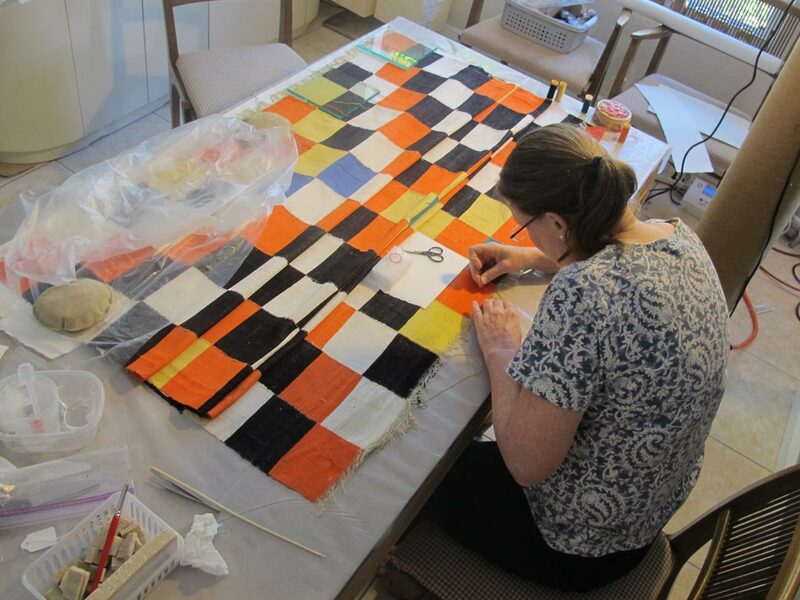 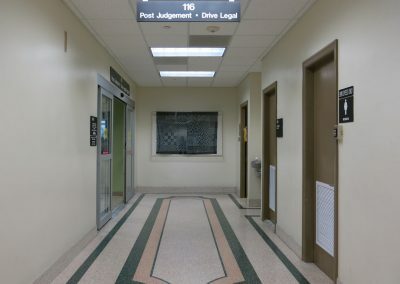 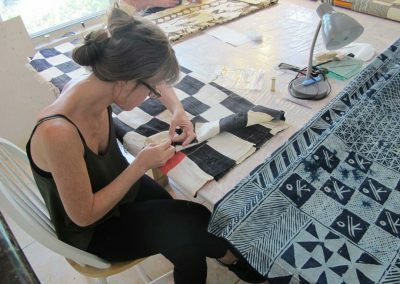 Miami Dade County’s public art collection includes 25 historic African textiles that had become infested with termites and moths. 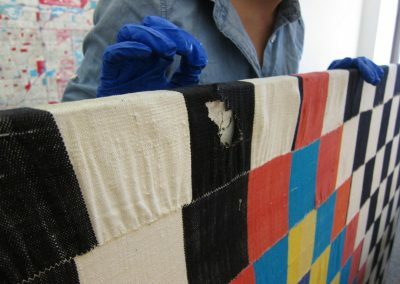 We removed the textiles from their infested stretchers and placed them into a freezer to kill any live insects or eggs. 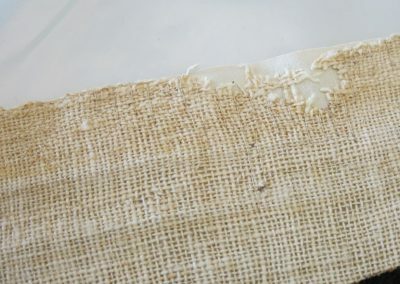 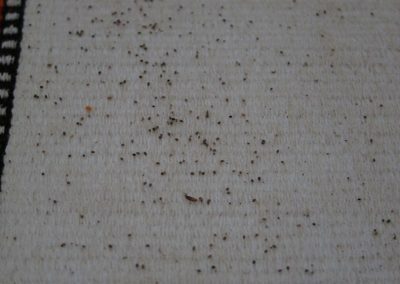 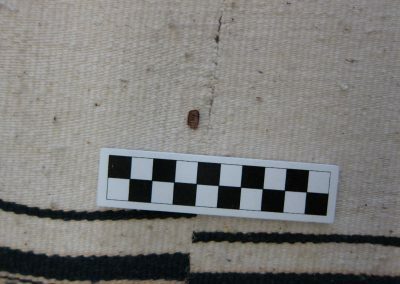 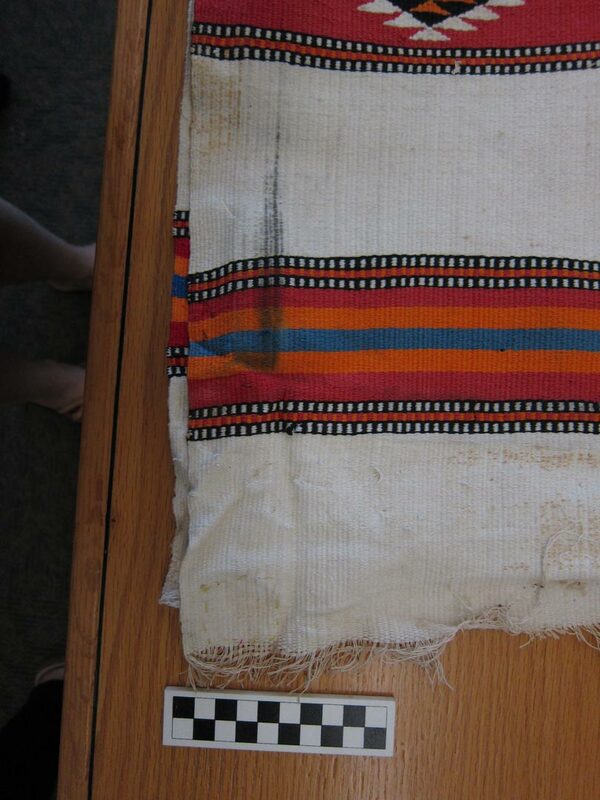 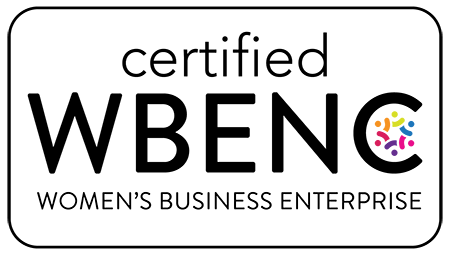 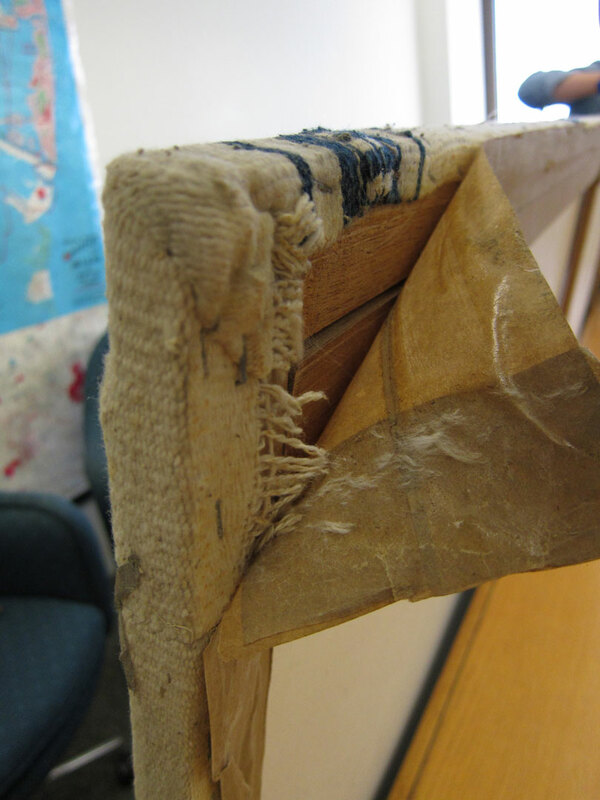 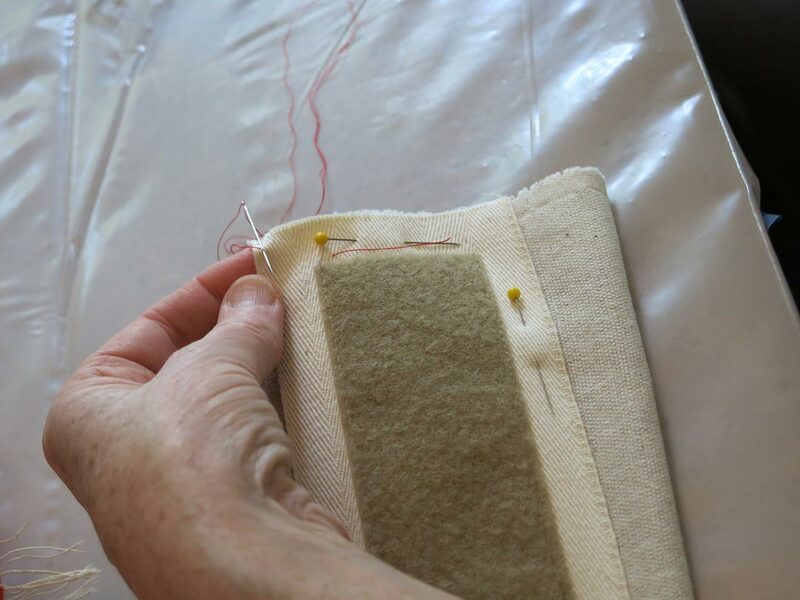 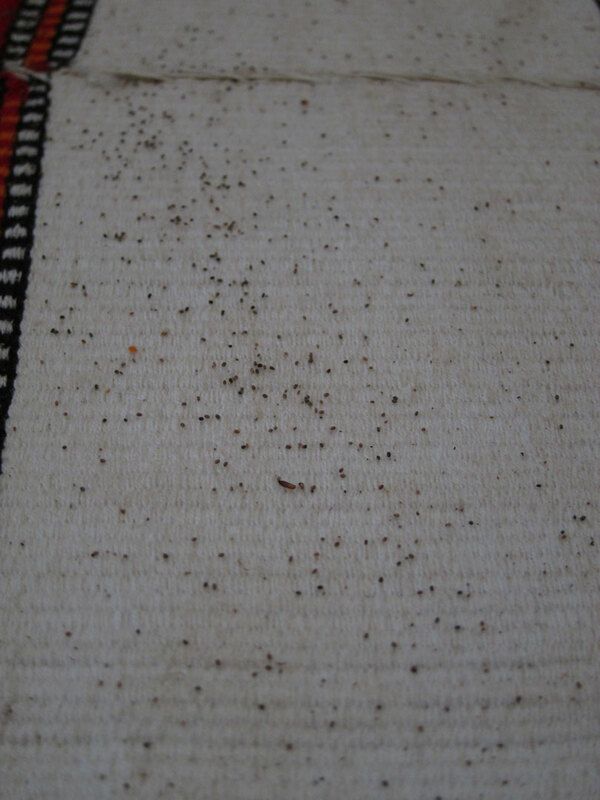 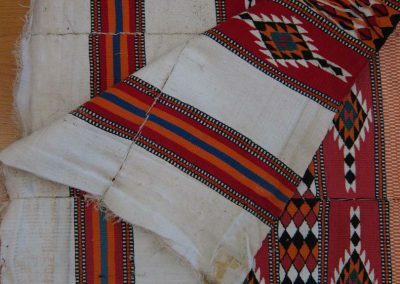 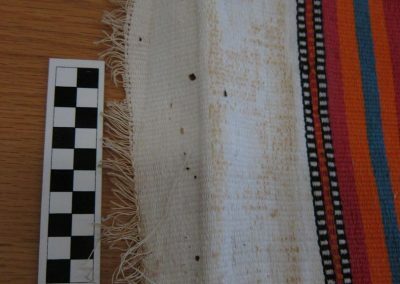 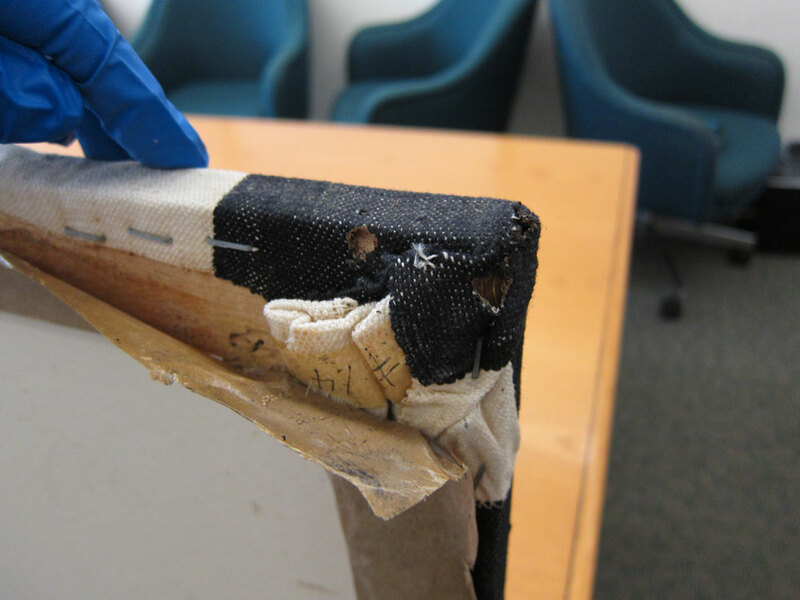 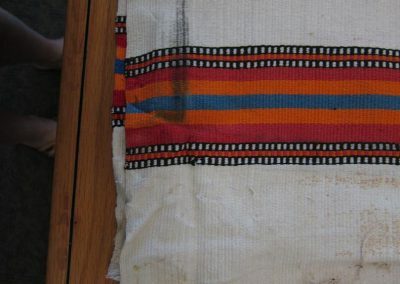 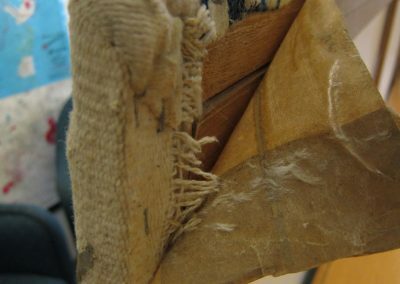 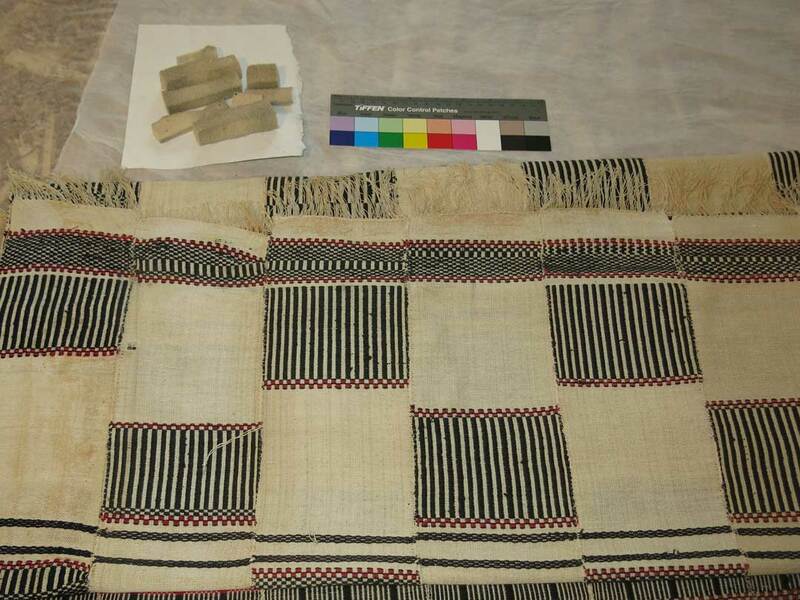 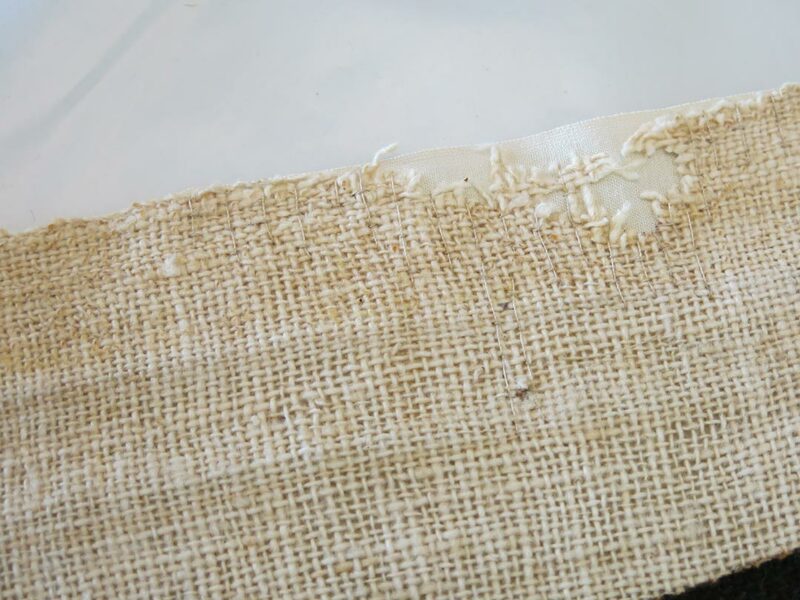 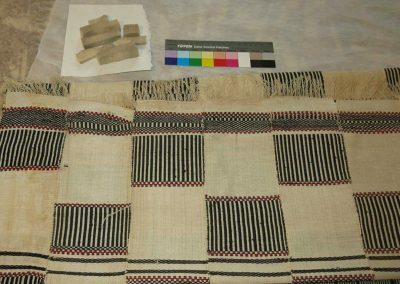 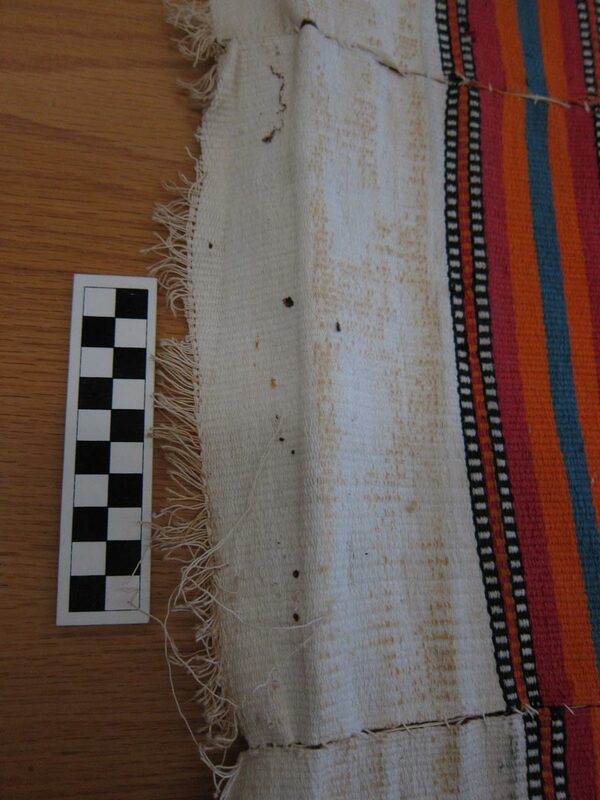 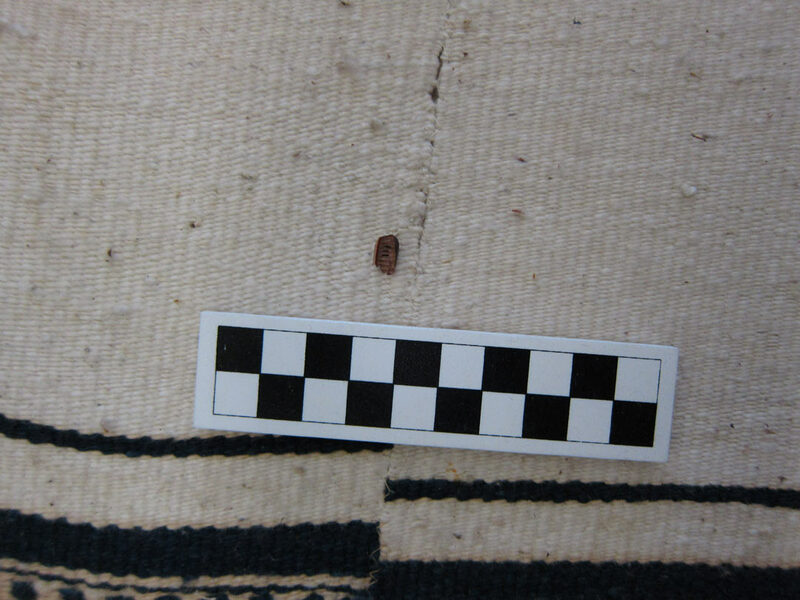 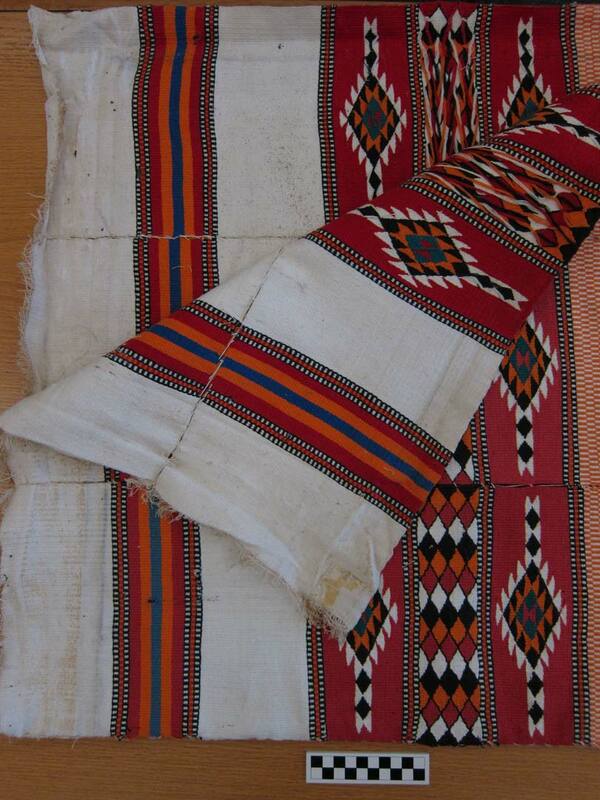 The textiles were then vacuumed, dry cleaned, partially damp cleaned where dyes were stable, repaired to stabilize holes caused by insects and poor installation with corrosive pins, and mended under the guidance of textile conservator who is a Fellow of the American Institute for Conservation. 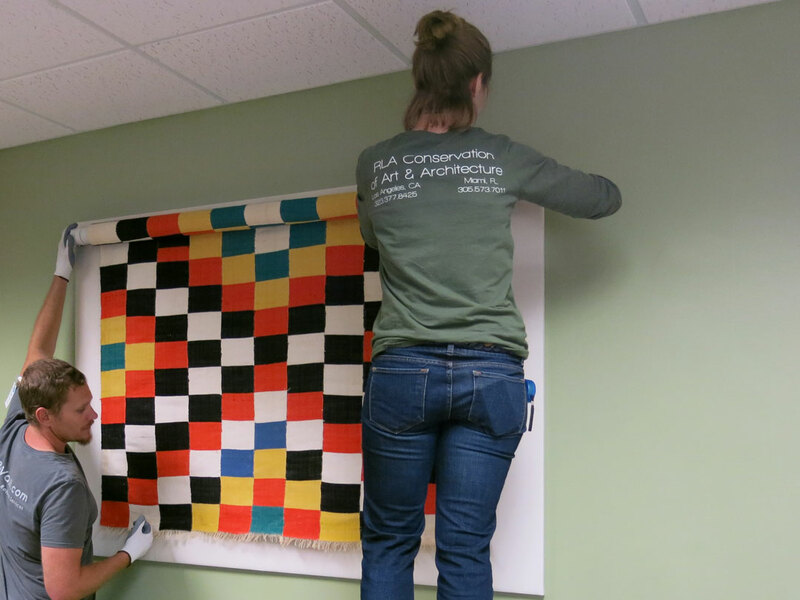 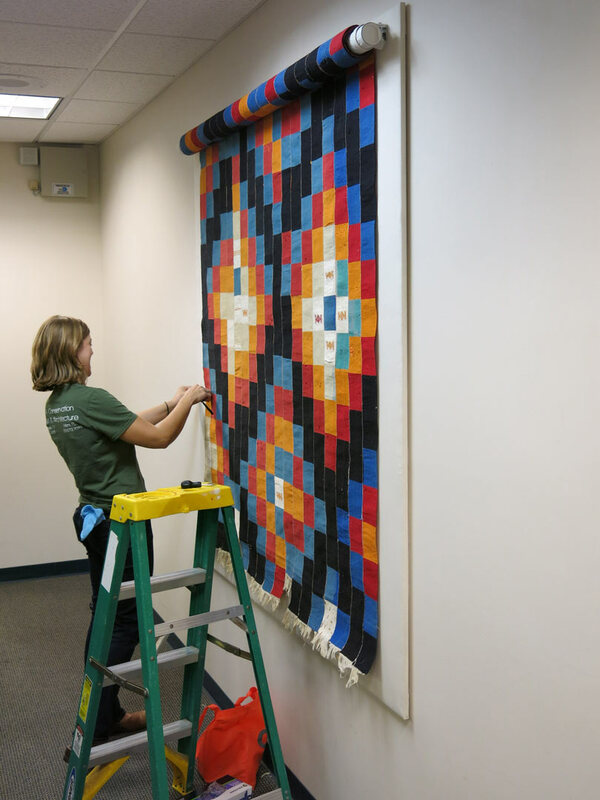 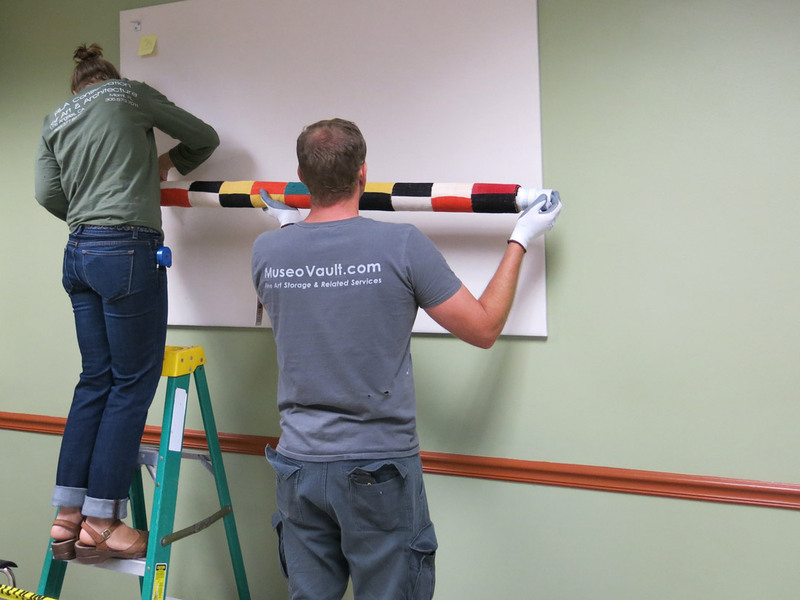 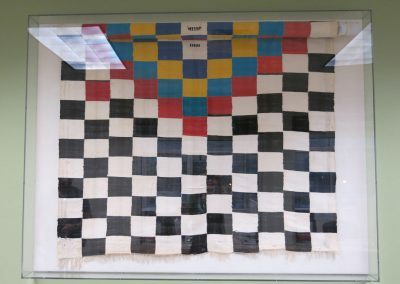 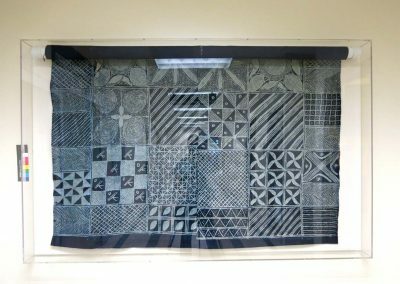 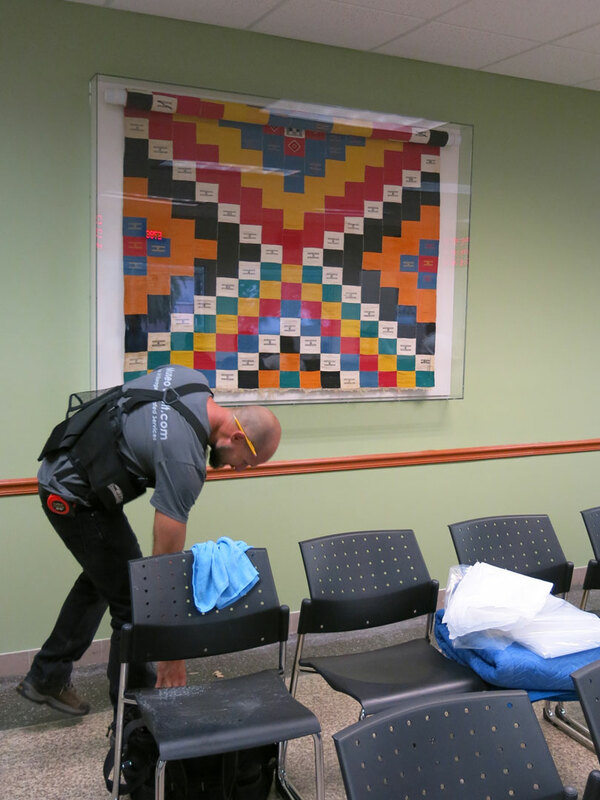 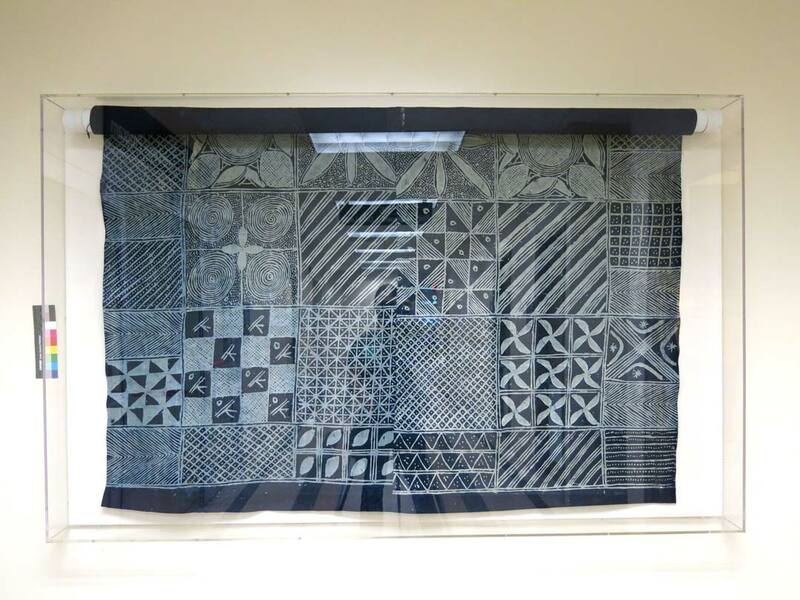 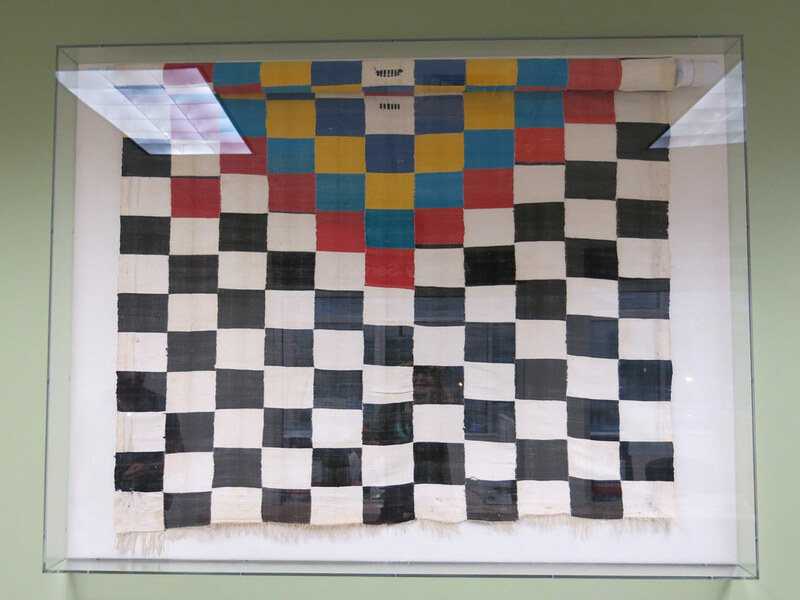 Seven of the textiles were then selected for mounting and display. 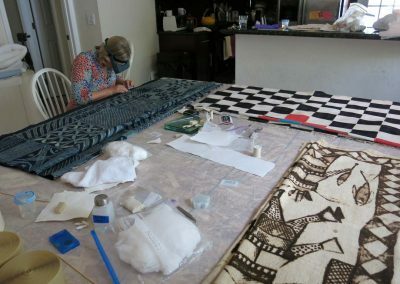 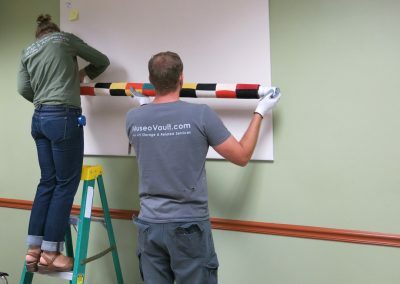 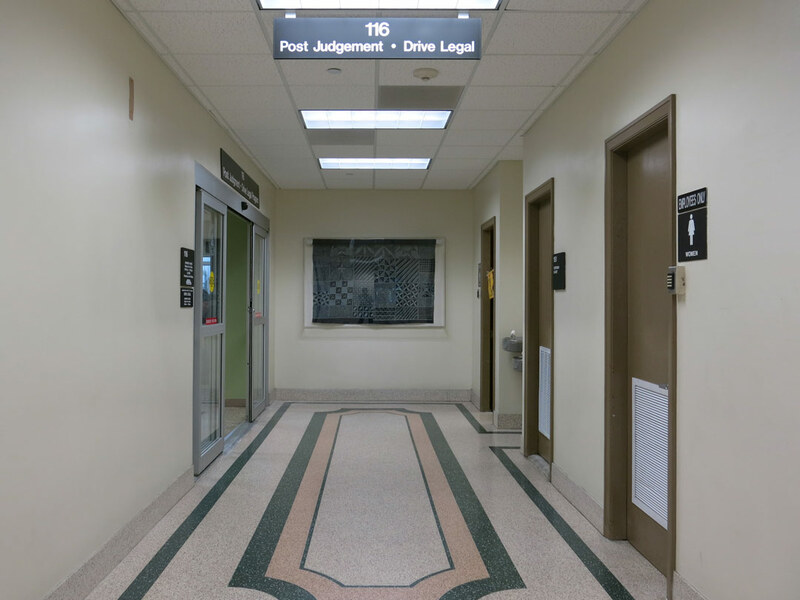 RLA designed rollers for the textiles that went into storage and custom display cases with Oddy tested fabric-backed aluminum backing boards, UV filtering plexiglas, and conservation grade mounting adhesives and hardware for the works that were going to be displayed.